Maurice Benard; Dr. John Grienenberger, Ph.D. Imagine knowing someone – a spouse, a friend, a family member – and having them suddenly shift their personality so dramatically that they seem like a whole new person. On today’s show, actor Maurice Benard from “General Hospital” shares his personal experience with Bipolar Disorder, while Dr. John Grienenberger, Ph.D. from PCH Treatment Center shares information on how to identify and manage this condition which affects over 6 million Americans. 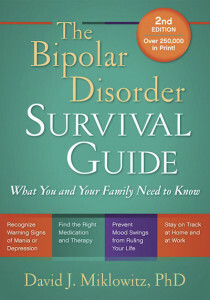 Offer Description: (1)Article from PCH Treatment Center, “What to Do When Your Loved One Is Diagnosed with Bipolar Disorder” (2) NIMH pamphlet “Bipolar Disorder” A brochure on bipolar disorder that explains what it is, when it starts, and how to get help.